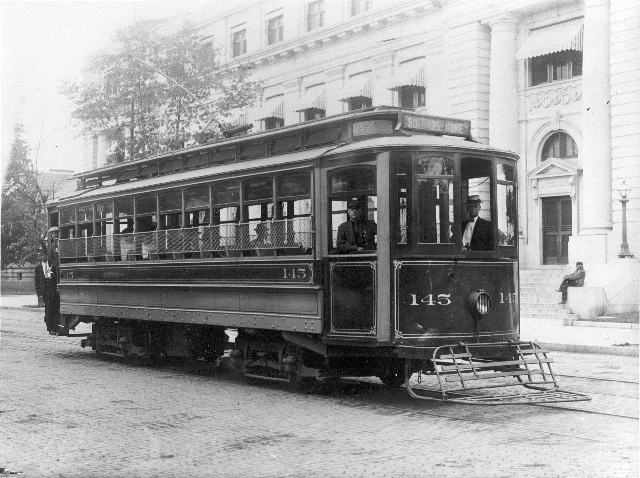 We see car 145 signed for the Soldiers Home line. The door configuration is the original, but screens have been added to the side windows. The motorman is leaning on the window where a door would eventually be cut through; the conductor is standing on the step to the rear door.